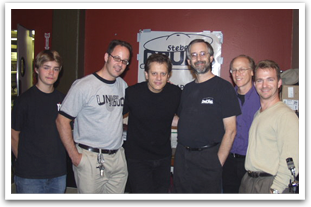 Stebal Drums was a proud co-sponsor of the Dave Weckl show at Wilberts. Thanks also to Sabian, Remo & Vic-Firth for contibuting for the give-away items before the show. But these honors, in addition to many more bestowed by the music community, are the product of Dave’s undying commitment to making great compositions. Dave’s incredibly dynamic and diverse drumming, which has inspired musicians worldwide, is built on a solid foundation of knowledge and respect for music.